Chinese online retailer giant JD said that compared to 2017, 131 percent more such books were sold in 2018. The sales volume of Chinese classic photocopies rocketed by nearly 200 percent. 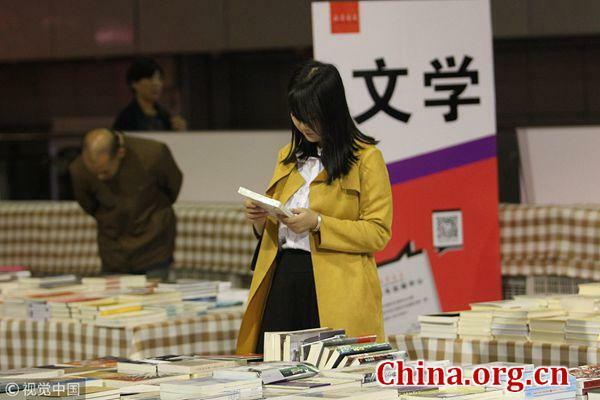 Sales of Chinese literary classics also boomed, with the sales volume of the classic novel "Journey to the West" published by the Commercial Press increasing five-fold, and "A Dream of Red Mansions" published by the People's Literature Publishing House rising by nearly 150 percent from 2017. Almost all of the 100 best-selling editions of the classic novel "The Three Kingdoms" and those for "A Dream of Red Mansions," more than 60 percent are intended for children, according to Beijing-based book industry researcher OpenBook. The same year, the Ministry of Education issued a guideline on college entrance exam reform, urging Chinese classes to increase student exposure to Chinese classics and related texts.